William is a native New Yorker and a graduate of Regis High School. He holds a B.S. in Theater and a B.A. in Comparative Literary Studies from Northwestern University and a certificate in College Counseling from UCLA Extension. His career as a tutor spans over a decade and includes in-depth preparation for not only the SAT but also the SSAT, ISEE, ACT, LSAT, and GRE. Karen has been working with students and families in New York and Boston for almost ten years to develop plans for success on the SSAT, ISEE, ACT, SAT, SATII Subject Test, GRE, GMAT and LSAT as well as in academic subject areas. In addition to sharing her test content expertise, Karen also prepares students for campus visits and interviews. Willa is a native New Yorker and holds a Master’s degree in Social Work from Fordham University. She has multiple years’ experience working with students from middle school to college, including academic tutoring for public high school students throughout New York City. Willa is dedicated to the field of youth development and greatly enjoys working with students to achieve their personal and academic goals. Originally from New Jersey, Andrew graduated from NYU with a degree in neuroscience. He strives to share his lifelong passion for the sciences with each of his students by emphasizing real-world application to convey scientific principles. In addition to tutoring students for the SAT, ACT, MCAT and Science SAT II Subject Tests, Andrew also spends two days each week working on a clinical research study at Mt. Sinai and is currently applying to Medical School. As part of the Sentia Education staff, Andrew keeps Sentia’s web platforms and client databases up-to-date. Kayla Flanagan is a recent graduate of the University of Florida. After earning her B.S. in Business Administration, Kayla joined Sentia Education as an Associate. During college, Kayla gained customer service experience working for various organizations from food service to fashion giant, Chicos. Following her semester in Rome, Italy, Kayla became an International Program Student Ambassador where she advise other students on study-abroad programs. In her spare time Kayla is an avid photographer and has received recognition for her work. Eduardo Villalta received his B.A. in Modern European History from The University of Chicago. 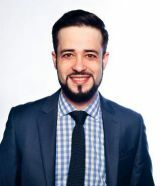 After receiving an Advanced Professional Certificate from New York University Stern School of Business, Eduardo continued on to New York University School of Law and earned a J.D. He graduated with honors, was a Dean's scholarship recipient, and was a Fellow for the New York Public Library in the Office of Rights and Permissions.